“It was the best of times, it was the worst of times,” Dickens once said. Such is the stark contrast between two cities and their respective rugby teams, tribalism, the Auckland Blues versus the Canterbury Crusaders. 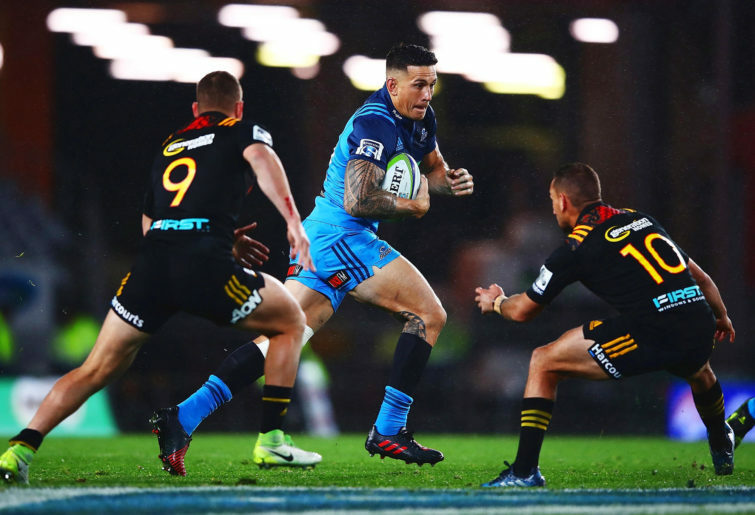 For the Blues of late, it has been the worst of times, during the fledgling stages of Super Rugby the Blues claimed back to back titles in 1996 and 1997. Title number three seemed a mere formality during the 1998 campaign under Graham Henry’s tutelage, stacked with All Blacks such as Jonah Lomu, Zinzan Brooke and Sean Fitzpatrick. However, it was not to be as the then underdog Crusaders laid the first bricks and mortar of what would become a nine-time championship dynasty. Fast forward to 2019 and the Blues have only won one championship in 2003, with arguably the best resources and deepest player pool in New Zealand it is uncanny to see them languishing at the bottom of their conference log season after season. The sustained winning mentality is no longer there and they lack an identity of sorts compared to the Blues of the late nineties. It has not been a bad season some years, in between some good seasons whereby they are challenging for greater honours in the playoffs. Coaches have come and gone and all have been unable to turn the Blues ailing fortunes around, it’s now left to former Crusader Leon McDonald as new head coach to steady the ship and get the Blues back to their former dominant and entertaining selves. He will obviously need time for his playing philosophy to be ingrained into his players and is not there for a quick fix, but rather a sustained period to get them competing. However, it would be a brave man to bet on the Blues getting one over their perennial southern rivals this Saturday. And yet they have an opportunity this weekend to make a statement in terms of what kind of Blues team they are going to be this season. Will it be the same old Blues lacking cohesion and game management? Or will this be the season they begin not taking a step back and make sure that any team wanting to beat them are going to have to bleed, work and sweat for every inch of that victory? For the Crusaders it has been the best of times as they have been the bedrock on which the All Blacks have truly flourished in the professional era. Scott Robertson, a former member of the 1998 championship side, is the breakdancing head coach eying up his third title in as many seasons. Blessed with an abundance of All Black riches and the best forward pack in Super Rugby, title number three by all accounts is a shoo-in. The Crusaders have created and sustained excellence that the Blues should have learned from. It is not to say the Crusaders are undefeatable. In eight seasons under then-coach Todd Blackadder, they failed to land a single title with players such as Richie McCaw, Daniel Carter and Kieran Reid. They also did not make the playoffs in 2015. Dickens theme in “A Tale of Two Cities” is ultimately about duality and resurrection whilst the Blues will perhaps not win a championship this season, they could give the Crusaders a stark reminder of their title aspirations to come on Saturday night.